Thirty-six security guards from AHMBB associated hotels received First Aid and Water Rescue training to help avoid incidents during the upcoming Holy Week and Easter season. Personnel from AHMBB hotel members are preparing for the upcoming Holy Week and Easter holiday season by taking an intensive Lifeguard training course taught by the Civil Protection and Fire Department of the State of Nayarit together with the Bahía de Banderas Hotel and Motel Association (AHMBB) and the Riviera Nayarit Convention and Visitors Bureau (CVB). 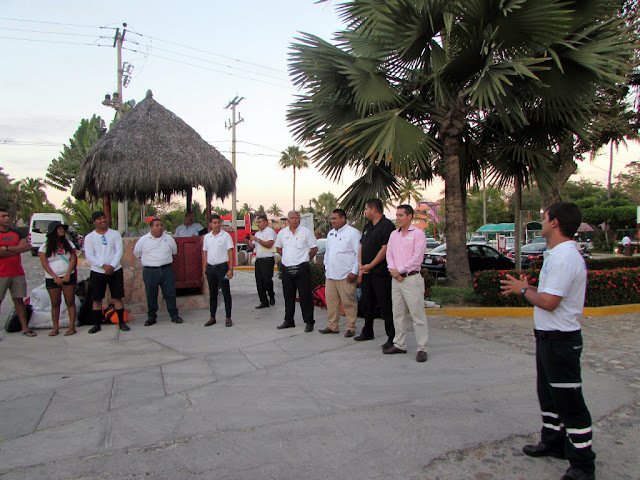 There were 36 participants, mostly staff from the Iberostar Playa Mita, Hard Rock Hotel Vallarta, Riu, Palladium, Royal Decameron Complex, Villagroup, Grand Velas Riviera Nayarit, and Real del Mar hotels, as well as personnel from Dolphin Discovery. 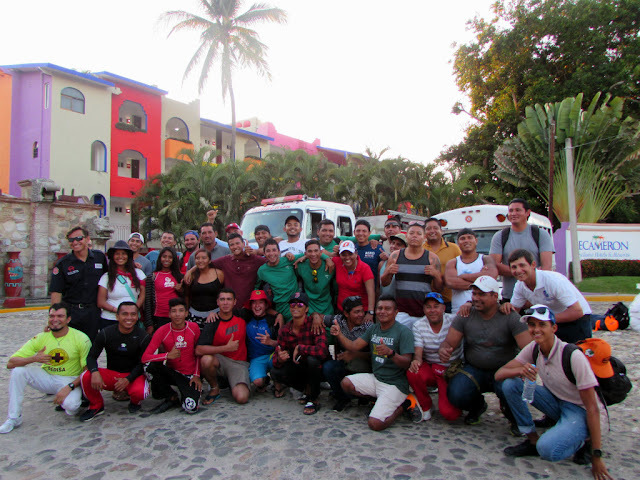 The training lasted for 48 hours over the course of three days under the advisement of Lucas del Val, Water Rescue and Lifeguarding instructor from the Civil Protection and Fire Department of the State of Nayarit, who designed the program that helped develop the talent and potential of those in charge of safety. “The goal of this course is a basic knowledge of water rescue oriented towards personnel from hotels and other agencies to help prevent aquatic accidents in public areas and hotel beaches mainly when there are a higher number of tourists, such as the upcoming season (Holy Week and Easter), a very special time when there are a higher number of incidents,” said Del Val. He explained the training lasted three days and two nights, with up to 16 hours per day of work. The first day was dedicated to First Aid theory instruction and practice, including cardiopulmonary resuscitation and the Heimlich maneuver. They later continued with physical training and, that evening, some of the trainees participated in a night rescue with survival maneuvers in the dark. 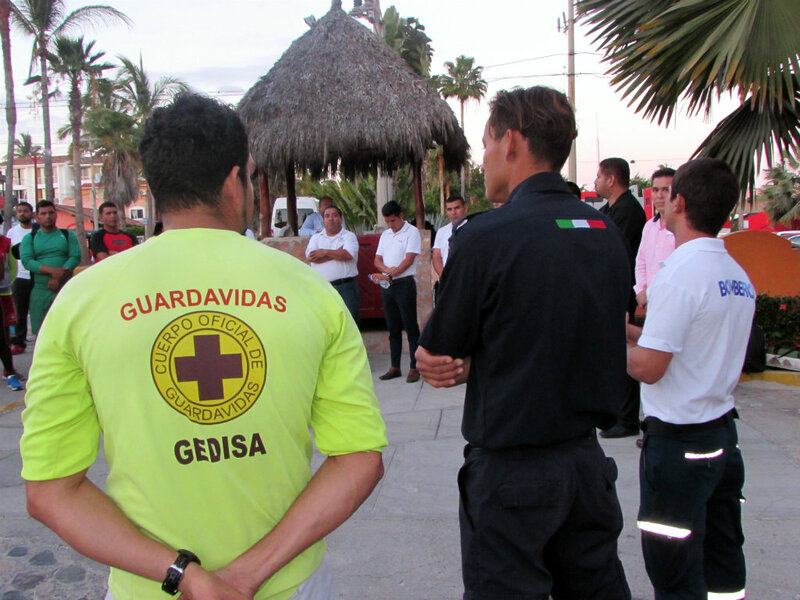 Day two included water rescue exercises in the pool, which were held at the Bahía de Banderas campus facilities of the Tecnológico Nacional de México with based in La Cruz de Huanacaxtle. 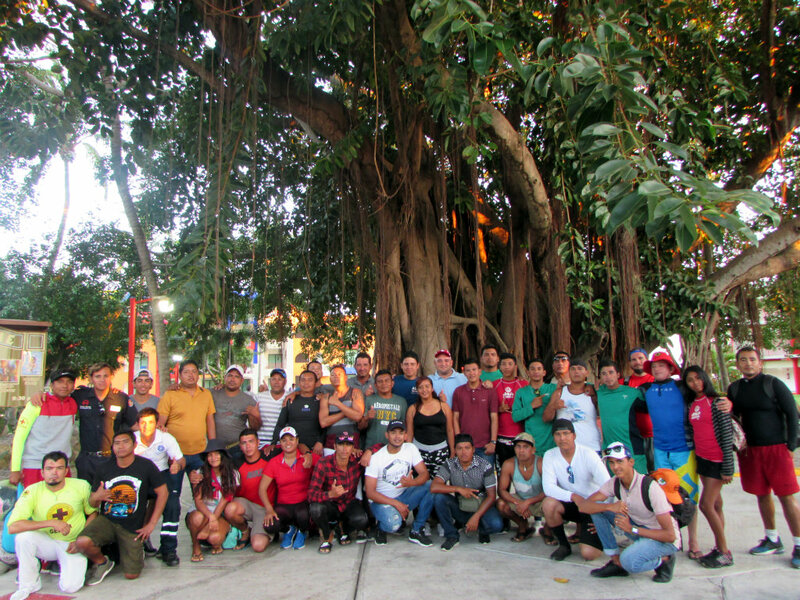 After the training, said Del Val, each of the lifeguards will know the importance of eliminating problems and avoiding accidents, and will have a more ample notion of safety and what they themselves can do, not only around water but everywhere else as well. When the course was over the participants received their certificates and had the opportunity to spend time together and share their experiences during a small event held at the Royal Decameron Complex. Some of the heads of security from the aforementioned hotels were also present during the event, among them Luis Añorve, from Real del Mar; Salvador Velázquez and Diego Rivas from Palladium; Hugo Peña, from Royal Decameron Complex; Luis Cruz, from Hard Rock Hotel Vallarta; Rogelio Vario, from Grand Velas Riviera Nayarit; and Saúl Torres, from Riu Hoteles. Of note is the fact these certification and training courses for hotel personnel are part of the commitment to associates made by the Bahía de Banderas Hotel and Motel Association (AHMBB) in coordination with the Department of Member Services and Tourism Development Programs of the Riviera Nayarit Convention and Visitors Bureau (CVB) via its Safety and Human Resources committees. “The Hotel Association supports training at all levels to improve our hotel industry and offer a better service to our visitors by ensuring the different departments are on the level,” said Jesús Carmona Jiménez, president of the AHMBB. The continual promotion of the Riviera Nayarit both on a national and international level has yielded excellent results, thanks to the efforts not only of the Riviera Nayarit Convention and Visitors Bureau (CVB) and the Bahía de Banderas Hotel and Motel Association, but also of the business sector and the communities that work in tandem to offer all our visitors a very pleasant stay. This is possible thanks to the support of the Government of the State of Nayarit via the Tourism Promotion Trust (Fiprotur).